Palmetto Bay resident Maria Kesti spent weeks in India, participating in the Rotary International NID Program. Maria Kesti is a past president of the Rotary Club of Perrine-Cutler Ridge/Palmetto Bay and an active member/volunteer in our Palmetto Bay community and beyond. 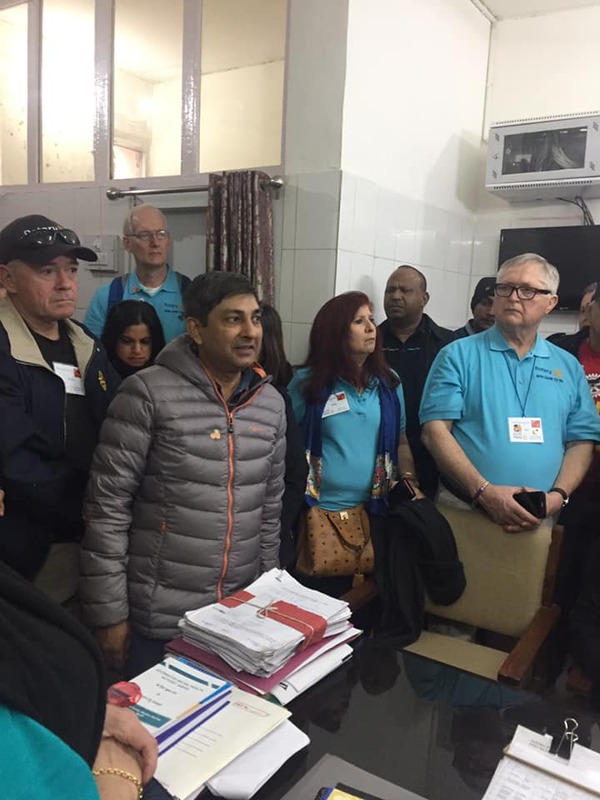 The trip was initiated by members of the Rotary Club to continue support of the major world project of Rotary International —eliminating polio from the world. 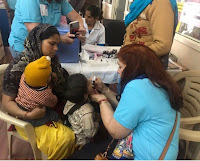 They raised funds to support the “Immunization Days,” and helped pay some of the costs of travel. The volunteers also visited a hospital for those suffering from polio, schools, temples, mosques, the headquarters of the Indian World Health Organization, and Rotary Clubs in India. For her dedication in continuing the efforts of the campaign “End Polio Now” Kesti has been named the Polio Chair for Rotary International District 6990, which includes South Florida and Grand Bahama Island. Congratulations Palmetto Bay resident Maria Kesti! This Friday - try a different mode of travel to work! 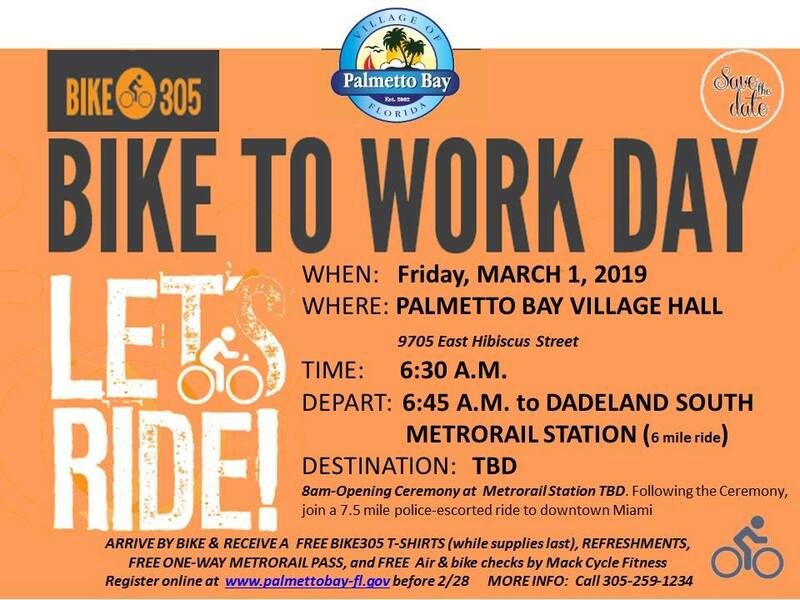 WHAT: Bike to Work Day 2019 - join your Palmetto Bay friends and neighbors. 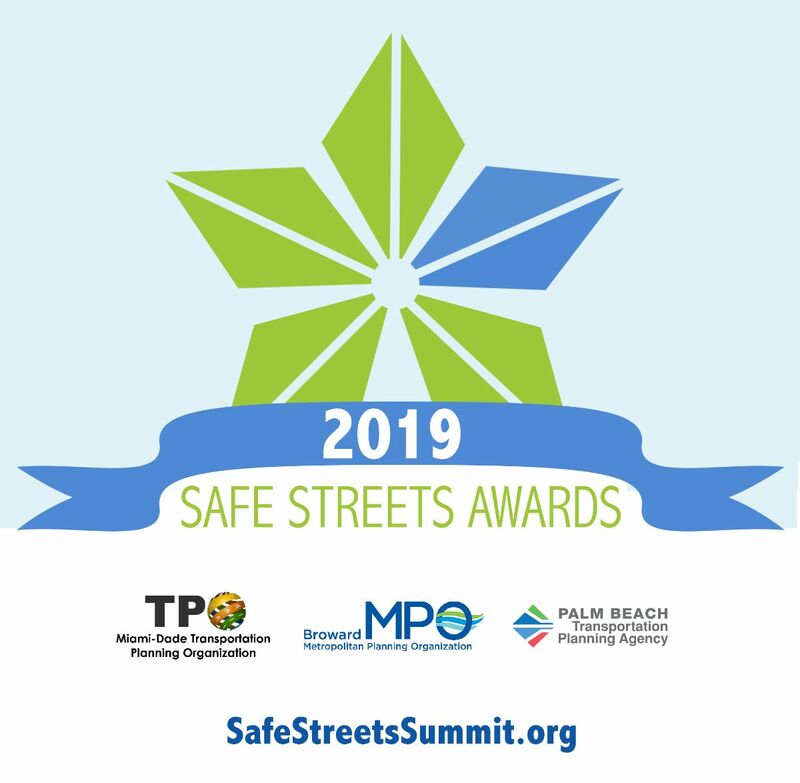 DETAILS: (See full information posted on flyers above and at bottom) Participants will depart from the Village Hall Parking Lot at 6:45 am to head towards the Dadeland South Metro Rail Station. 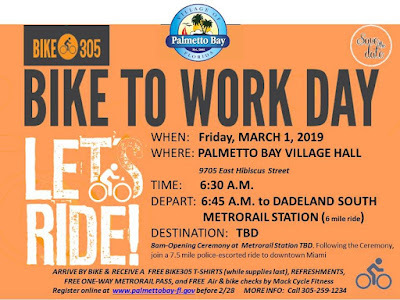 Upon arrival to the station you will learn how to take your bike on the Metrorail and then head to the full Bike 305 County Event where all of the Bike 305 festivities will take place. 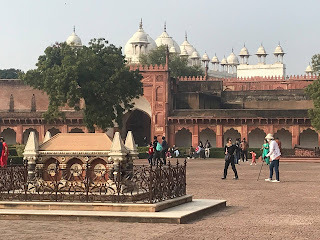 PRIOR RELATED POST: January 14, 2019, 2019 Bike To Work Day - Friday,March 1st 2019 - first call - always a fun time. Presented by Bike 305. (similar information). All participating cyclists will receive a FREE Bike305 performance cycling t-shirt (at the event site), FREE one-way easy ticket on Metrorail (*limited quantities and must provide valid email address), FREE air & bike checks by Mack Cycle & Fitness and other goodies (while supplies last). Light refreshments and breakfast foods will be served at the event site. For more information on Bike305's Bike to Work Day, visit www.bike305.com. 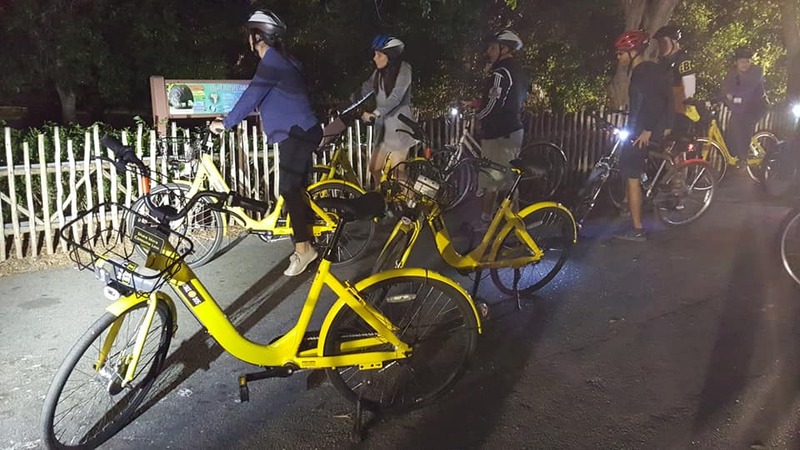 Bike305 is a collaborative effort forged by the County Mayor in partnership with several municipal Mayors and Parks Departments to unite and support the connectivity of people and places through the county's bike trails. 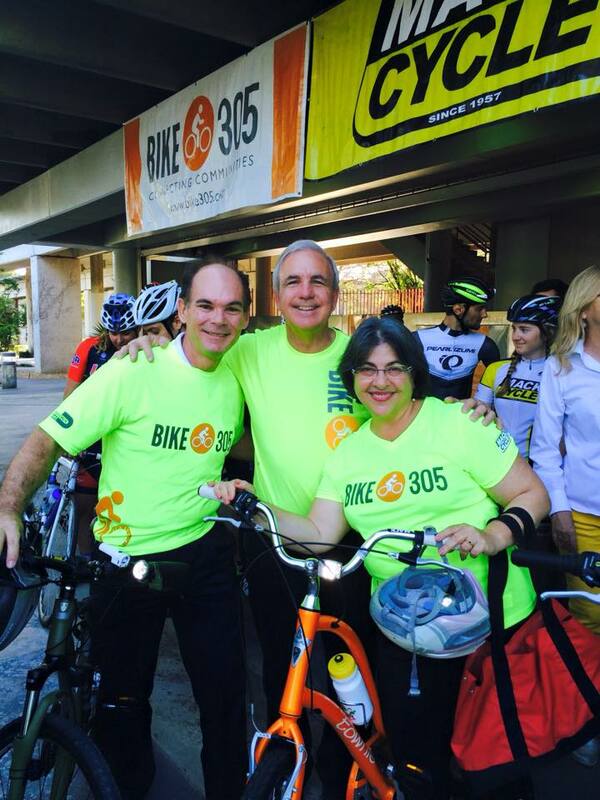 Throughout Miami-Dade County, Mayors are promoting the opportunity to achieve physical fitness and a healthy lifestyle by cycling to parks, attractions, shops, and events located on or near bike trails. CLICK HERE to view prior posts relating to this event, including photos. 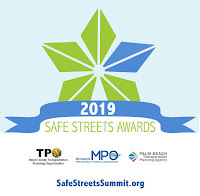 Relevant past post/background: January 28, 2019, Congrats Team Palmetto Bay - a nominee for the 2019 Safe Streets Awards. Will the current Mayor and Council remain committed to Palmetto Bay's policy of Complete Streets Guidelines? The following video report aired Sunday evening (Feb 24, 2019) on NBC 6 (CLICK HERE) to view the report on the official NBC 6 web page. The resident said the canal is "notorious for careless, speeding boaters"
CLICK HERE to view the online text of this local NBC6 story. 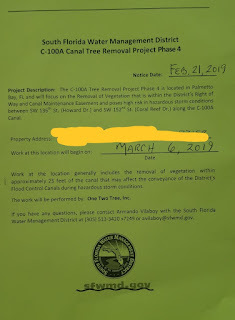 Canal update relating to SFWMD - C100A Canal Tree Removal Project Phase 4 - beware the ides of March! It appears that the "grace period" has ended. 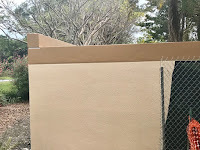 New notices were delivered to affected homeowner on or about February 21, 2019. A friend of South Dade Updates (FOSDU) has provided me with the notification letter (see right). Please review the notice for official information. The letter advises that work will be performed by a private contractor. "One Two Tree, Inc." is the listed contractor. 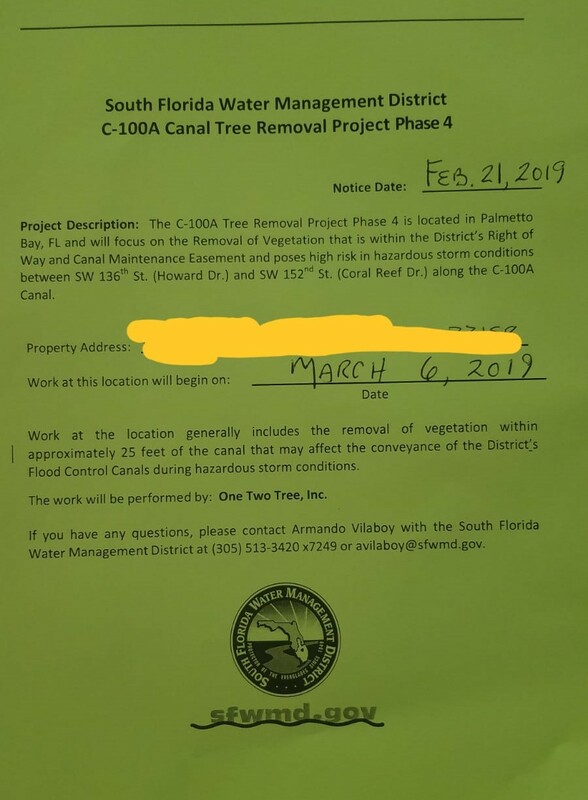 For those who live adjacent to the C100 canal system in Palmetto Bay, are you affected, is work scheduled to start on March 6, 2019? 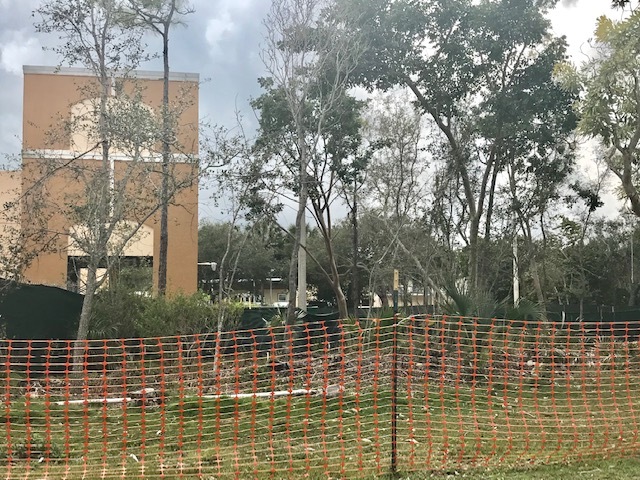 Manatee update – Sunday afternoon (2-24-2019) Commissioner Cava's staff hard at work coordinating efforts between multiple jurisdictions. Reports are that Commissioner Cava's staff has connected Fish and Wildlife with the Marine Patrol as soon as it was brought to the Commissioner's attention. Both agencies have already been sharing information over the weekend. Commissioner Cava's staff is in the process of drafting the proposed boating restrictions for the C100 network of canals which cover three municipalities. 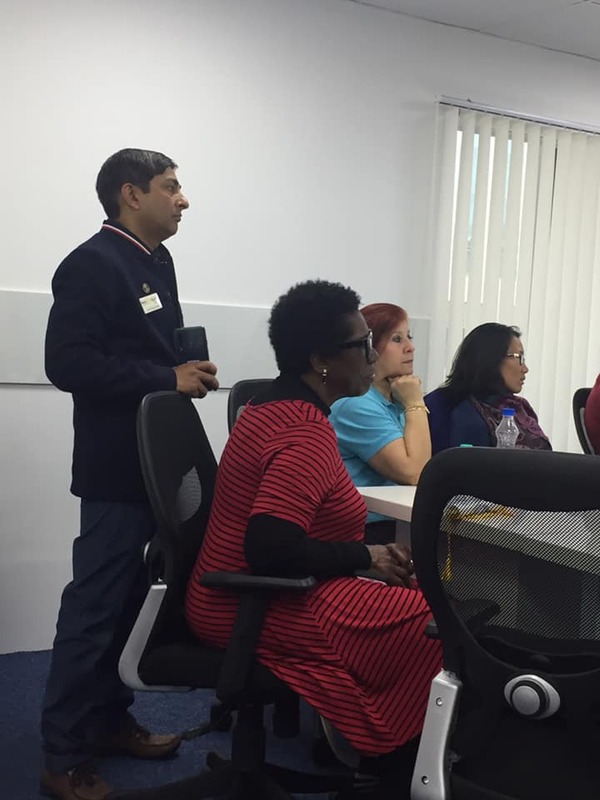 Staff is close to having a draft ready for review by the affected cities and residents. The schedule (Goal) is for first reading introduction by either the second March or first April meeting of the Board of County Commissioners. Those interested should continue to monitor and participate with the SFWMD and Commissioner Daniella Levine Cava's office. This is an update relevant to earlier post: Manatee and its two calves have been spotted and photographed within Palmetto Bay. Is this sufficient to trigger manatee protection rules by the FWC? Manatee and its two calves have been spotted and photographed within Palmetto Bay. Is this sufficient to trigger manatee protection rules by the FWC? A new development. A manatee and its two calves have been spotted and photographed within Palmetto Bay. Manatees have now been documented (2-23-2019) in the C100 Canal that runs through Palmetto Bay. This may trigger FWC protection. And note - FWC is key. FWC has the authority to place "Idle Speed / No Wake" rule. Local governments can as well, but these rules require FWC approval. More information listed below, but first, enjoy a short video, courtesy of Craig Merwitzer, whose family lives in one of the many homes that lies adjacent to the C100. What are Manatee Protection Rules? Manatee protection rules are rules that are established by FWC to restrict the speed and operation of vessels where necessary to protect manatees from harmful collisions with vessels and from harassment. In areas that are especially important to manatees, the rules can prohibit or limit entry into an area as well as restrict what activities can be performed in the area. FWC is authorized to adopt these rules by the Manatee Sanctuary Act, 379.2431(2), Florida Statutes (FS). The rules appear in Chapter 68C-22 of the Florida Administrative Code (FAC). Click here for maps of these areas. Local Government OrdinanceLocal governments can also establish manatee protection zones through the adoption of a local ordinance. These zones must be approved by FWC before they can take effect, as required by 379.2431(2)(p),FS. Local manatee protection zones cannot include waters within the main marked channel of the Florida Intracoastal Waterway or waters within 100 feet thereof. Nothing is simple. There are rules and procedures. 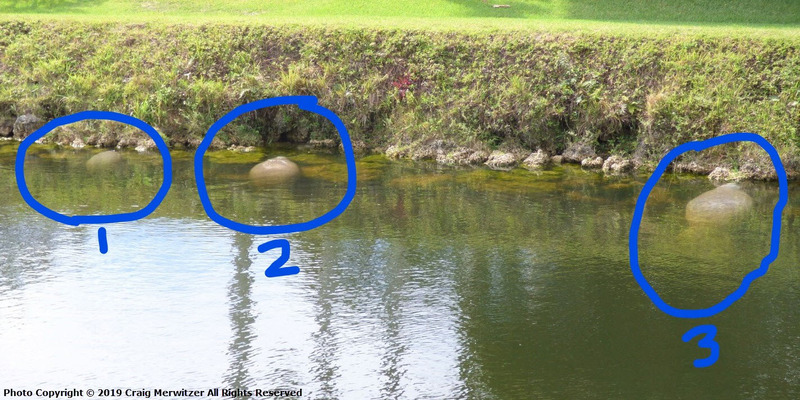 Please review the complete FWC web page for complete (and detailed) details regarding Manatee Protection Zones, Creation of Manatee Protection Rules (CLICK HERE). 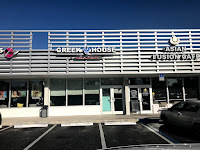 This is your money funding FPL property taxes and various other charges - eventually 6% added to each and every electric bill until the year 2050, from which FPL will use to pay some of its obligations to Palmetto Bay before turning over the remainder of your money to the Village. No amount of political spin can change the facts. This is an agreement between FPL and the local government - in this case Palmetto Bay. 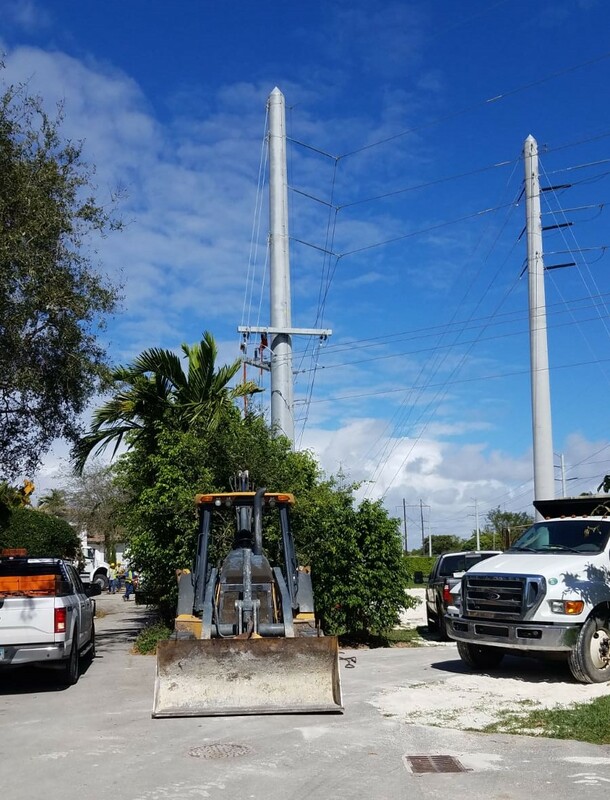 FPL does NOT pay anything for the "right to serve electric customers". No, FPL collects the money from We, the people, who actually pay for this 30 year exclusive agreement that will run from 2020 to 2050. Storm charge*: Used to repay the bonds issued during the 2004 and 2005 hurricane restoration efforts and to partially replenish the storm damage reserve fund for future storms. Gross receipts tax*: A tax of about 2.56 percent on a customer’s electric bill that is paid to the State of Florida. Other taxes and fees: Vary by area, as established by local governing bodies. FPL collects these costs for distribution to the appropriate entities. 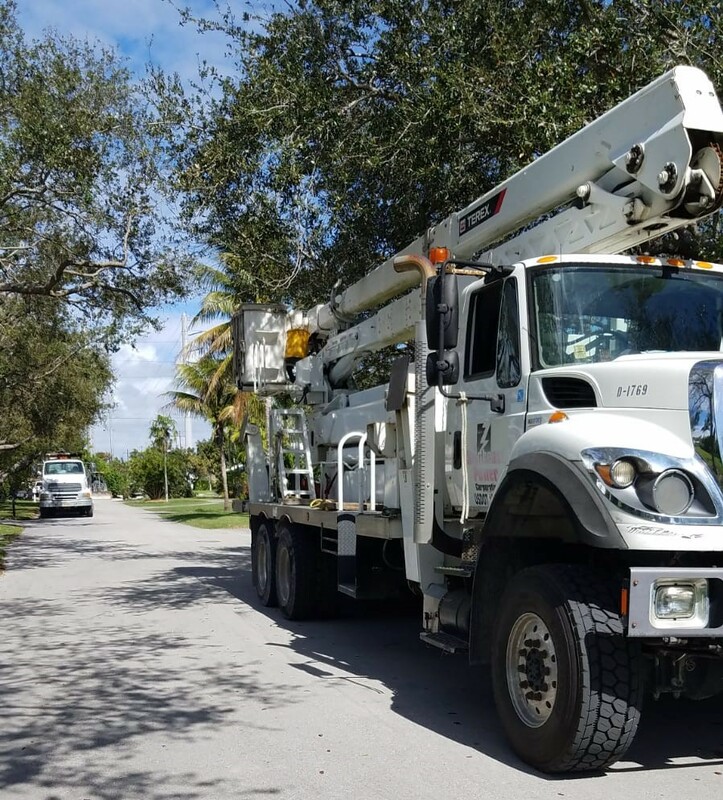 » Franchise charge*: FPL competes with municipalities and county governments for the right to serve electric customers. If a local government chooses, it can enter into a contract with FPL that enables the government to charge residents a contractual amount, the franchise fee, in exchange for its agreement to not form an electric utility for the term of the franchise. » Utility/municipal tax*: A tax imposed by a municipality or county government on the sale of electricity. NOTE: The term “base rate” refers to the total of the customer charge and base energy charge. It is not a separate item on the bill. Dine out? How often? 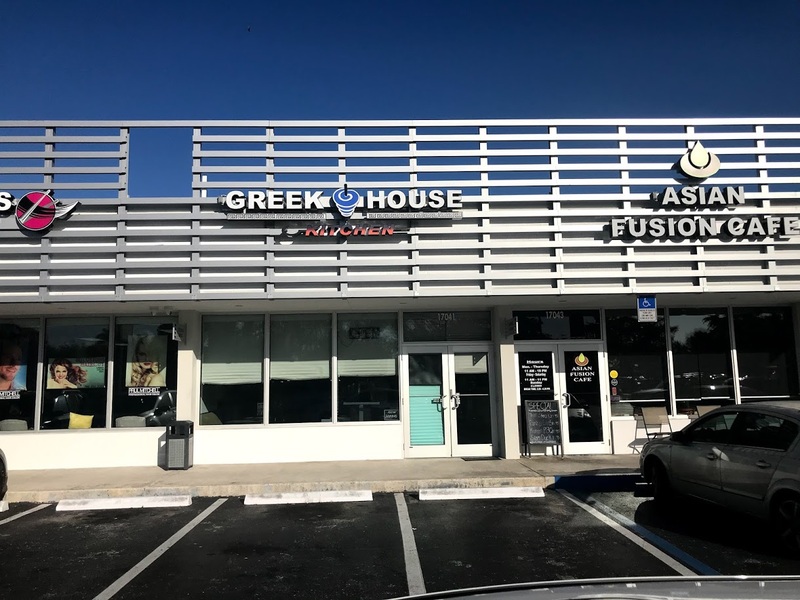 Residents want restaurants, but you have to show local businesses the love (patronize our local restaurants) if you want them to locate and THRIVE here in Palmetto Bay. 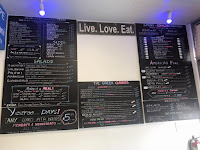 Current score card for Palmetto Bay 2019: 2 local family owned restaurants have closed. 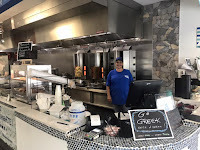 Greek House Kitchen has opened. 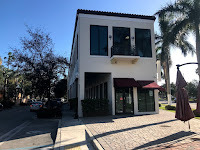 First - the new relocation/opening here in Palmetto Bay:. 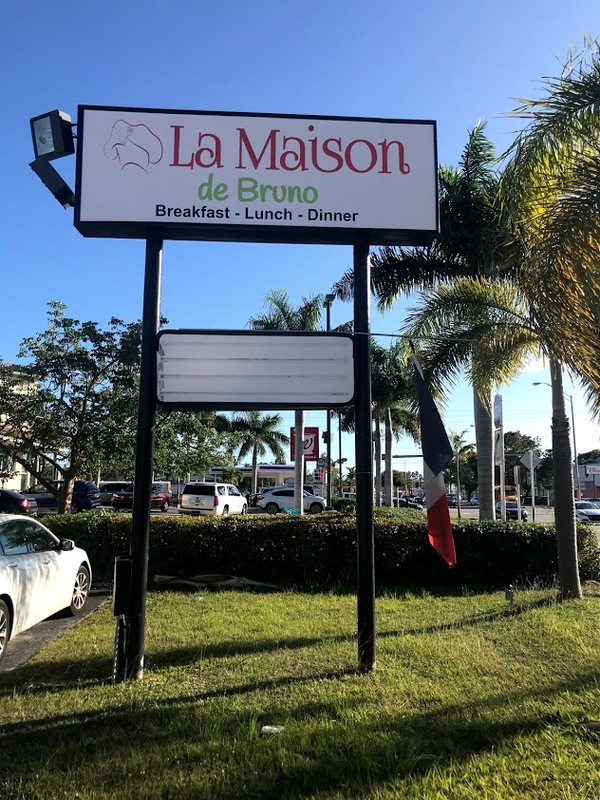 See Miami Hal, June 30, 2017: New French Eatery in Palmetto Bay (La Maison de Bruno) (note - review also ran in the Community Newspapers). 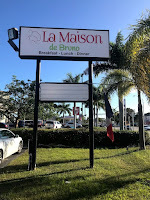 Please - Shop, dine, support our Palmetto Bay businesses. 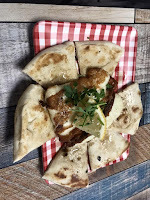 The proprietors put their all into making a go of it here. 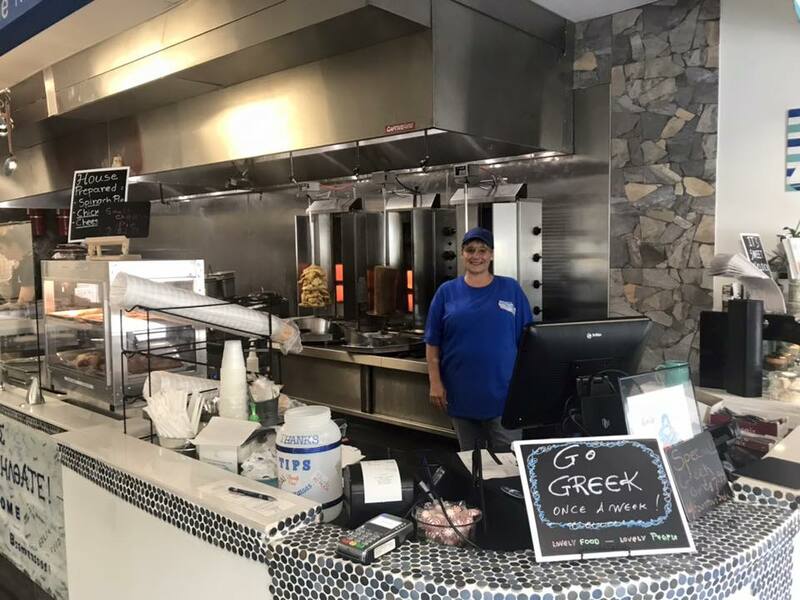 Palmetto Bay recently lost 2 family owned businesses that worked hard to make Palmetto Bay their home and serve our community. Report: The FPL Power Pole delivery trucks started rolling into the neighborhood at 8:20 on a quiet Sunday morning. 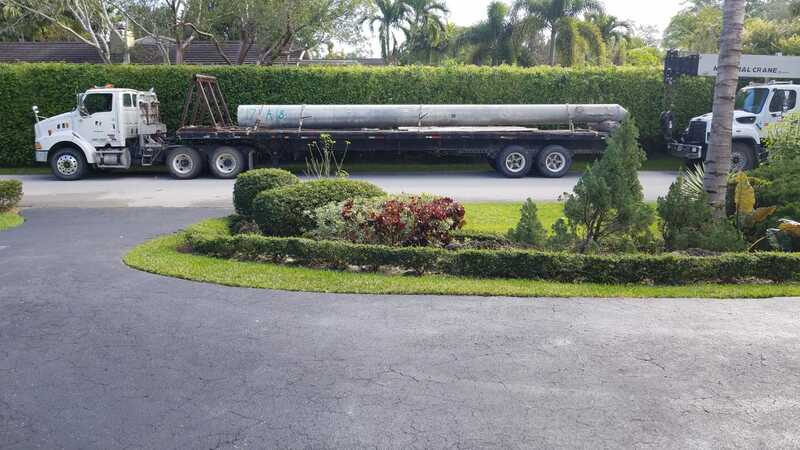 Those local mega power poles just keep coming into a Palmetto Bay neighborhood. 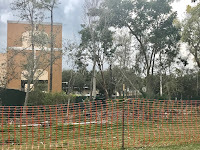 Work started at 8:20 AM, Sunday, February 10, 2019, with the reports of the trucks rolling the neighborhood on a previously tranquil Sunday morning. I have been asked as to whether this part of a scheduled maintenance and upgrade program or hurricane hardening. I cannot answer that, but your present local officials should be keeping you up to date. Have any of the affected neighbors received official notification as to the work, scope and time frame of this work? 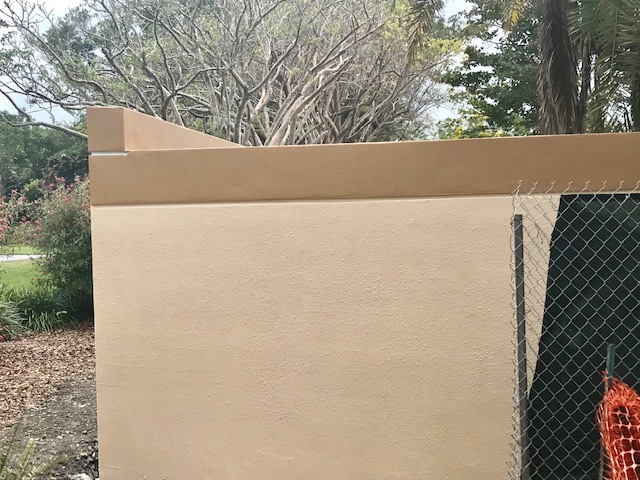 Is this an example of the current application of the Palmetto Bay "Neighborhood Protection Ordinance"? Prior related post: January 11, 2019, Removal of Palmetto Bay Street Sign - required to get a large utility pole through a tight turn in a Palmetto Bay neighborhood. Updated 1/16/19- PBay Public Services required to revise the re-installation of the street sign. 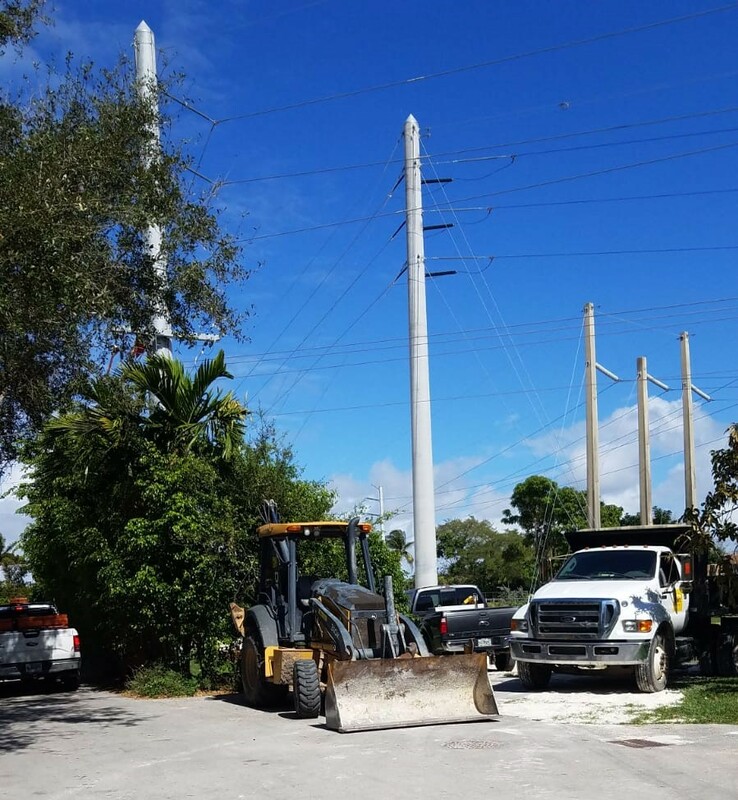 The January 11 blog post demonstrates some of the prior work that has been occurring in the neighborhood West of Old Cutler Road, bordered by SW 144 to the north and 152nd to the South. 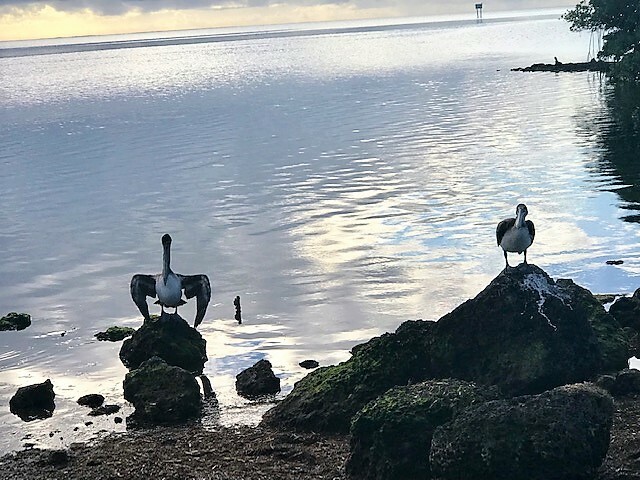 POD - Pelicans greeting park goers in Palmetto Bay - at Deering Point. Good morning pelicans! Seen on Saturday morning, February 9, 2018, at Deering Point where the C100 canal empties into Biscayne Bay. The Palmetto Bay Garden Club is having a combined Garage Sale and Plant Sale! Interested in gardening? The Palmetto Bay Garden Club provides opportunities to learn about garden related topics from area experts and engage in many garden related activities. CLICK HERE to review some prior posts relevant to the Palmetto Bay Garden Club. 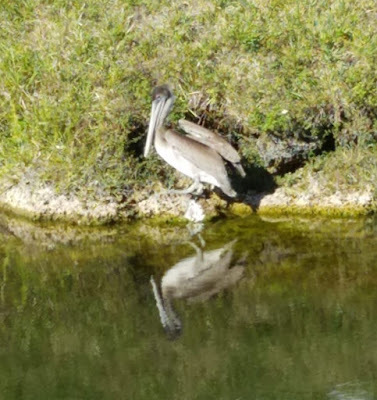 A FOSDU sent me this photo of a pelican seen at the C100 canal here in Palmetto Bay (near Coral Reef Park). Are the Pelicans common to the area? I have seen a few along the Palmetto Bay coast, at Deering and Deering (Snowden's) Point. I am not sure what the Pelican is up to other than it appears to be reflecting. Is it checking out a new area for the dining possibilities, lost, dazed, or a frequent visitor who I simply had not seen before? Thank you for the photo. More wildlife making itself home here in Palmetto Bay. Anaheim Police Department posts an outstanding video (from a series) relating to bike safety. No one—no driver, bicyclist, or pedestrian—has sole rights to the road. 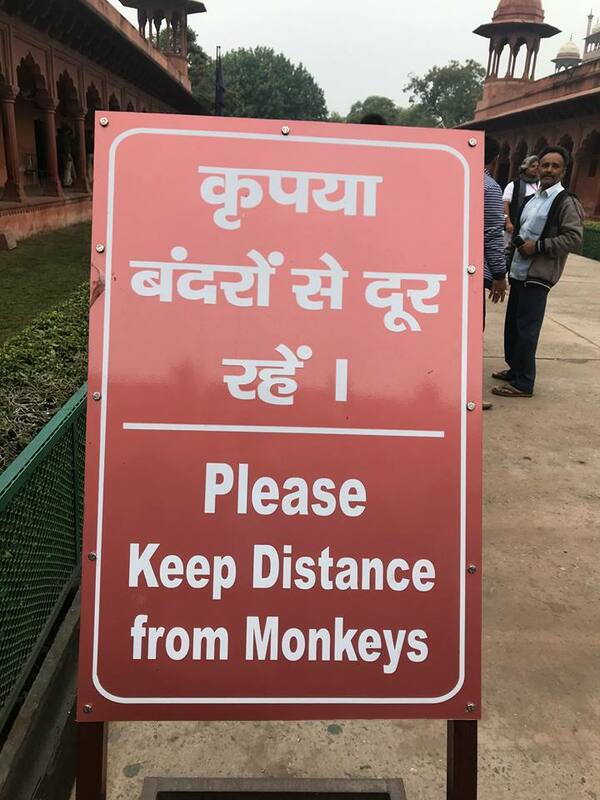 Safety is everyone's responsibility. Miami-Dade County has sharrows and many are located here in Palmetto Bay - 77th Ave, 152, 168th and even US1 to name a few. Drive safe. Traffic safety is a two way street. 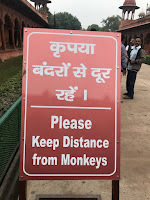 It is important for everyone to follow the rules of the road, regardless of their method of travel. Time to get up close and personal with the animals at Zoo Miami! The kids will love it - and so will the young at heart. 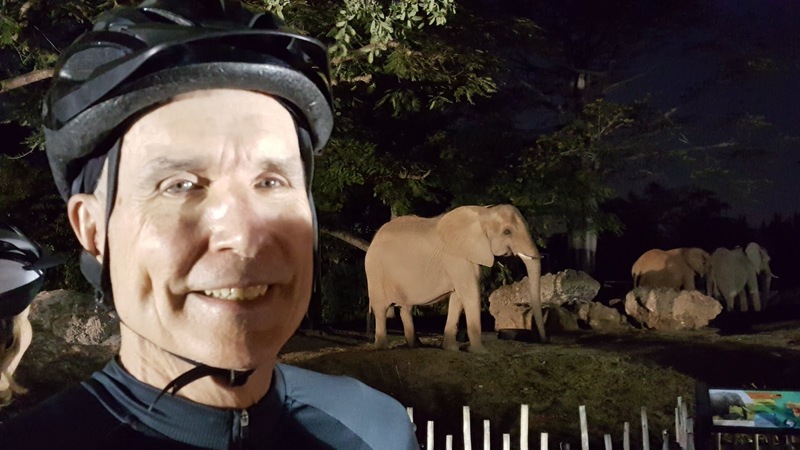 REGISTER NOW for the Saturday, March 16th twilight bike ride: Bike305 Bike the Wild Side - Zoo Miami event. 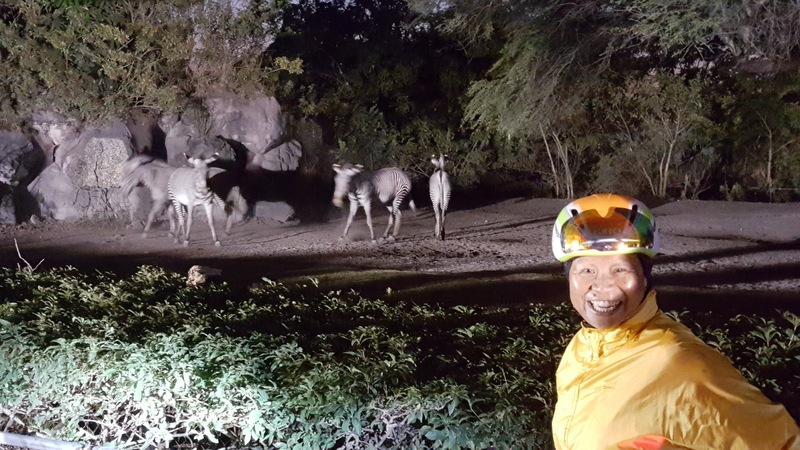 This family-friendly ride and tour will take place at dusk when the Zoo is closing and void of crowds. 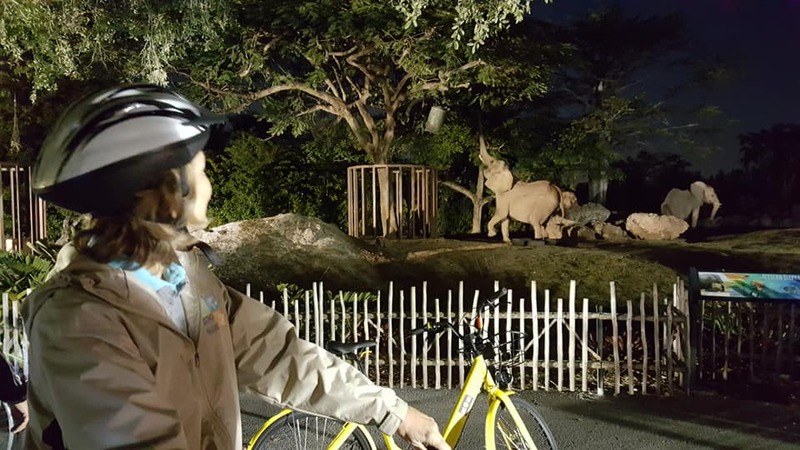 Ride guides will stop at various animal areas along the way to talk about the animals' habits and habitats! This is a very special bike ride that few will ever experience! I am proud to have participated in the incorporation process of the Village of Palmetto Bay. The original Charter Committee made sure that the rights of our residents are protected through inclusion of a detailed Citizens’ Bill of Rights that remains untouched through several charter review processes. Today I post the Citizens’ Bill of Rights – focusing on subsection (2) – Truth in Government. CLICK HERE to view the full section posted online through Municode. (2) Truth in Government. No municipal official or employee shall knowingly furnish false information on any public matter, nor knowingly omit significant facts when giving requested information to members of the public. Municode is an online source for the Codes of most local governments. 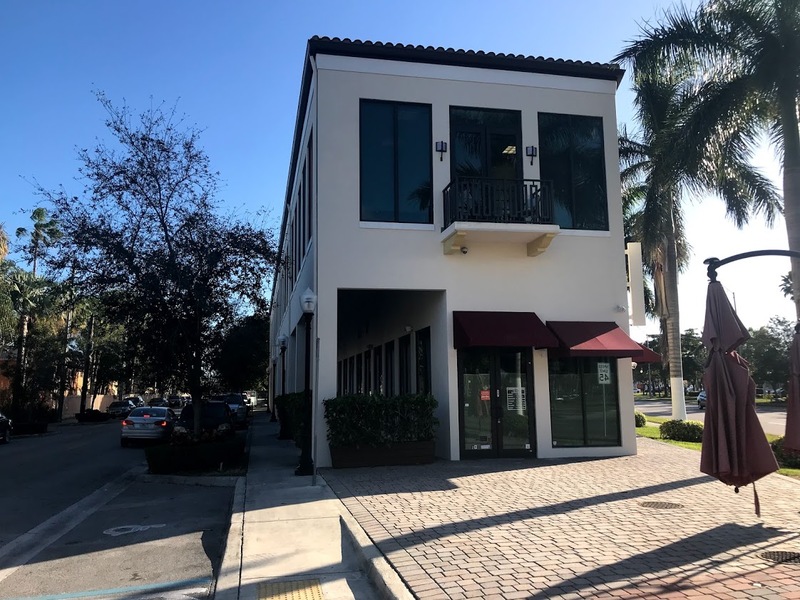 CLICK HERE to reach the start page for the CODE OF ORDINANCES OF THE VILLAGE OF PALMETTO BAY, FLORIDA as published on Municode. 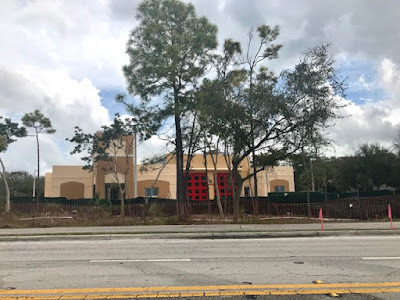 MDFR Station 62 continues to take shape. Projected to open in June. 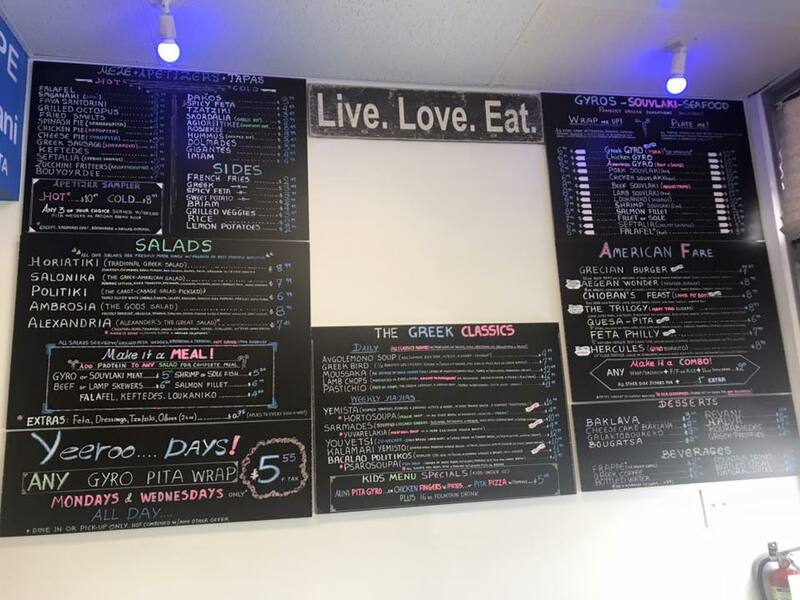 Possible grand opening April 8. Photo update. 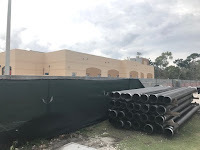 Photo update regarding ongoing construction of MDFR Station 62 - photos taken Jan. 27, 2019. I continue to get inquiries as to the status of this station. As Many can view from traveling along Old Cutler Road, Station 62 continues to take shape. The value to the life-safety of this area is immeasurable. The Palmetto Bay and Pinecrest Communities are made safer through this enhanced life-safety service in the area. The composite photo (to the right) demonstrates how the action construction (top - right) is tracking, faithful to original renderings (bottom of composite - right). A source advised me that Station 62 structure is scheduled to be complete in May. Outfitting/furniture comes next. The permanent station is on schedule to be operational in June. Thank you MDFR! 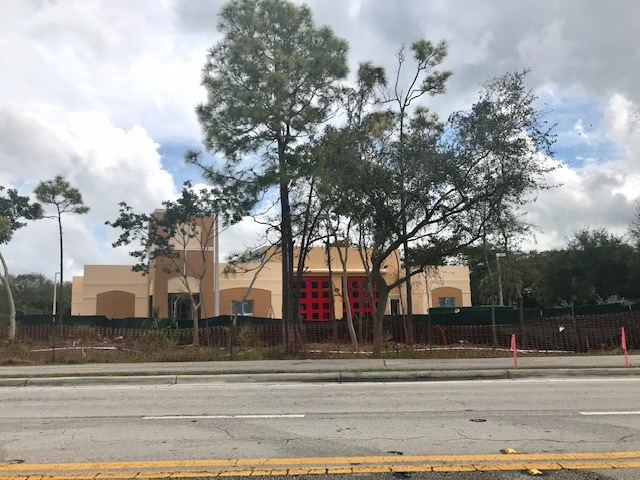 I am looking forward to the completion of Station 62 in Palmetto Bay, a grass roots started in our earliest years of incorporation, which was grass roots and official efforts. It involved an original village safety committee, a couple of mayors & Village Councils and several County Commissioners. Thank you Commissioner Katy Sorenson for the original support and Commissioner Daniella Levine Cava for support for MDFR to bring it to close. The Fire Station was not immune to court contest. The original approval was made after a zoning hearing held in October, 2014, resulting in resolution 2014-075 (links below). A lawsuit was filed in circuit court on November 24, 2014, to contest this 3-2 decision (CLICK HERE to view the entire 17 page complaint), filed under Case No. : 2014-029993-CA-01, Gary Pastorella v Village of Palmetto Bay, OCPC & Miami-Dade County. The case was filed on November 24, 2014, and languished with no substantive activity for nearly two years (11/24/14 - 11/14/16), before it was ultimately DISMISSED for lack of prosecution by order rendered November 14, 2016 (CLICK HERE). The official court docket posted online does NOT list a settlement agreement. I never saw any formal agreement, but was told that Miami-Dade County agreed to run a waterline to their property line with the Pastorellas (which is interesting as the Defendants were holding some information back, as discussed below). Thank you Miami-Dade County officials who actually determined that the ENTIRE street should have benefit of this water line. 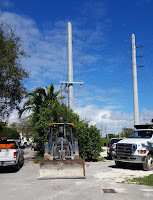 Miami-Dade officials made the right choice to bringing much needed County infrastructure to everyone on this street. The timing, opportunity, was there. It makes little sense to bring water to a County property, using county taxpayer dollars, and not bring the line to an area long in need. 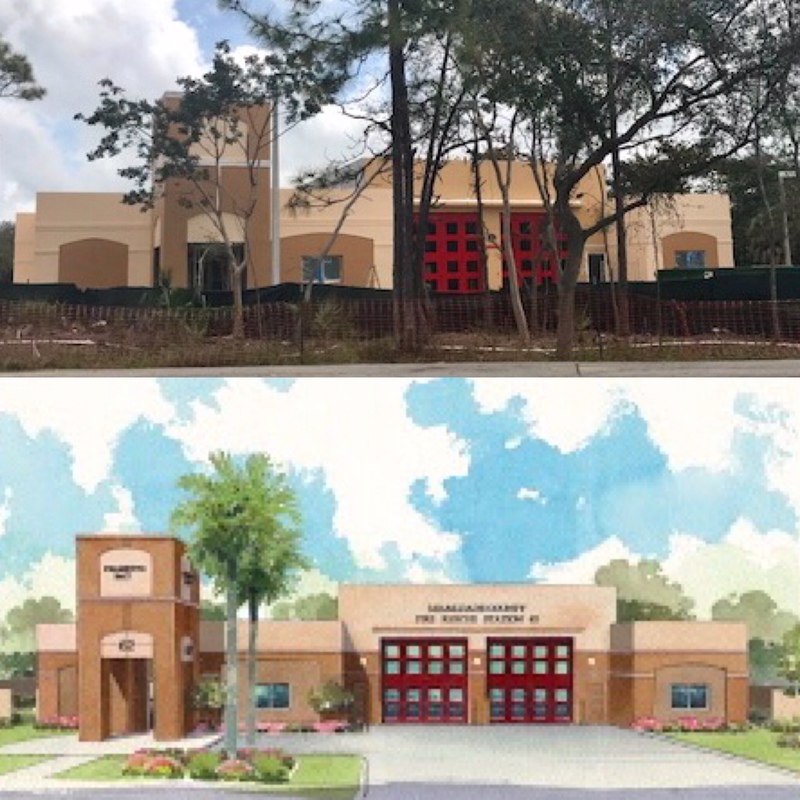 The Ground Breaking for the Fire Station was held February 5, 2018. The original estimate for completion remains at 400 days from start of construction. There have been rain days (built in to the schedule). 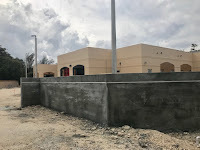 The project currently remains on schedule, so we are beginning to see the date when there will be a ribbon cutting / grand opening soon in 2019. I am told by Commissioner Cava that April 8th is the tentative date. Please look carefully at the front of the station. Did you notice the second bay bay door (2 big read garage style doors)? One bay is for Engine 62. 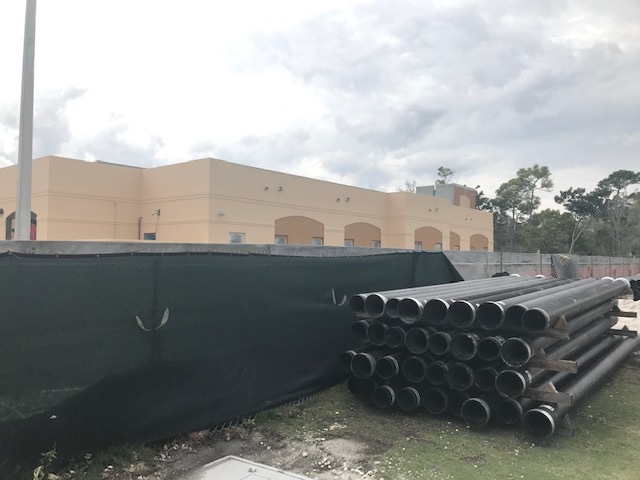 Once completed, Palmetto Bay can look forward to the eventual increase of life safety service. 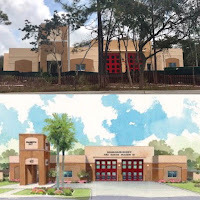 The station is built in anticipation of a future Rescue 62, which should not be too far distant future to complement the service of Engine 62. Reso 2015-086 - This updated development order impacted the following: Requiring compliance with recent Public Works Department conditions (a letter dated 9/24/2015 is attached to the resolution) and 2. Fire Station staff will not use the ringing of bells or other alarms in the exterior for notification of emergencies. Click onto the label for “Fire Station” to see prior posts. Also see prior post of July 27, 2018, Photo update - progress of construction of permanent Station 62 located off Old Cutler Road and 142nd Street – a photo update of the status of the construction of Station 62 as of Thursday, July 26, 2018.